It shouldn’t come as a surprise to anyone that Google is always testing new ways to improve their platform. 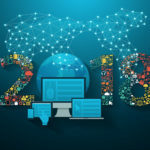 The constant change is one reason that is important for roofing contractors to hire a reputable SEO company, so they can stay ahead of the curve! The changes that Google is playing with could fundamentally change SEO ranking. 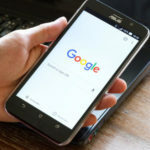 Instead of getting to the end of a search engine results page and having to click to the next page Google is testing a “more results” button in the mobile search which will load more results below the current results. This button may save time and make it easier for searchers to go further down the results page. Making it easier on mobile to continue down the results page may be a little beneficial for businesses that aren’t on the first page of results but the fact remains that businesses on the first page get more leads. Google is officially testing a “more results” button in the mobile search results interface. Instead of having to click to the next page of the Google search results, a searcher can click the “more results” button, and additional search results will load below the current results. Danny Sullivan of Google confirmed on Twitter that this test has been running for the past few days. It seems to be visible to many, if not all, searchers when searching Google on their smartphones. Google first tested this more results button in a more limited fashion, but now searchers are seeing this test more often. Do you know where your roofing company lands on the search engine results page? Get a FREE SEO Analysis and find out where you rank and how we can help you connect with more people who are searching for roofers. Stop letting your competition beat you and contact Roofing Contractor marketing today! Like all business decisions, you should carefully consider who you are going to hire to handle your digital marketing. Digital marketing has the power to level your business up to the next level if done correctly but if it’s done incorrectly you could be wasting money. There are good digital marketing companies, bad digital marketing companies, and companies that just aren’t a good fit for your business. So how do you sort through and determine if you are hiring the best company? Just like when you tell your potential clients to vet the roofers that come knocking on their doors you need to vet the marketing companies! The best way to choose the right company is to first spend some time doing a little preliminary research. Look at their website, do they have referrals, do they seem like they have an understanding of your industry and know your market? If you feel comfortable after doing the preliminary research then you need to ask them some questions. You can meet them in person or talk on the phone but you need to go through this interview process. After that first interview process, you should be feeling comfortable and confident that they can handle your roofing companies digital marketing. If you are planning on using Pay Per Click advertising as apart of your digital marketing strategy these are some good questions to ask the experts to make sure they know what they are doing before they waste your ad spend. When it comes to pay-per-click (PPC), it’s often best to call in the experts. But sometimes even experts need to be put to the test. The following are a variety of questions and their answers from major search and e-commerce sites like Google, Amazon and Bing. Use them to ask any “expert” you may be interested in hiring to help you with PPC, content and remarketing. 1. How will you manage the Google Quality Score? 2. Can you explain how the Google auction works? When a user enters a search, AdWords pulls all the ads whose keywords match that particular search. From the ads, any that aren’t eligible, such as ads that target a different country or have been disapproved, will be ignored. From the ads remaining, only those with a high enough Ad Rank will show results. It’s a crucial stage of your campaign, so make sure anyone involved with it knows the process and how to get the most out of it. When it comes to CPC (the actual amount you’re charged per click), the most you will end up paying is the minimum amount required to hold your ad position. In the Search Network, ads that appear above the search results generally have a higher CPC than those that appear below the results. Don’t fall for a bad marketing company or one that doesn’t fit with your company. At Roofing contractor Marketing we understand the ins-and-outs of the roofing industry. If you are ready to interview us click here to contact us today. The Mobile Version of your Website has ALWAYS Been Important. Now even more so. Has it ever happened to you, you were looking for a business on the go and found their website only to find that it’s impossible to navigate? Maybe you thought, I will look at this later and forgot about it, or maybe you just gave up on looking altogether. It is no secret that mobile web traffic has been on the rise for years now. As almost the entire planets population is now walking around with tiny computers in their pockets your website better be optimized for mobile. 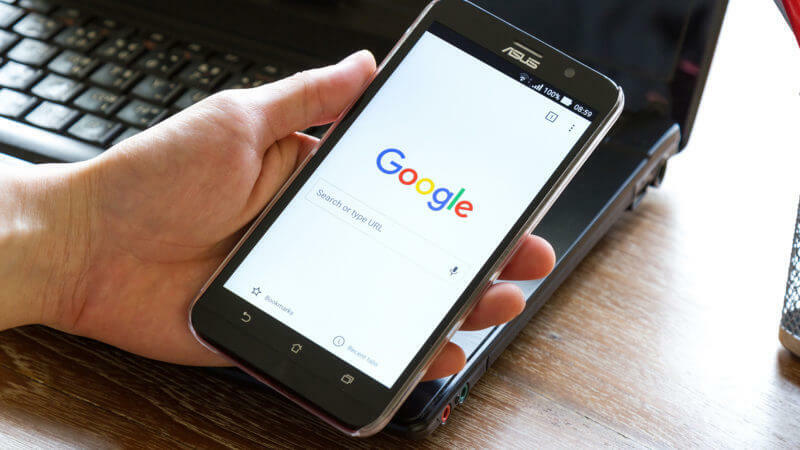 It has been critical from a user-experience standpoint for a while now that your website looks good and is easy to navigate on mobile but it is becoming even more crucial now that Google is pushing their “Mobile-First Indexing”. If your site isn’t optimized for mobile you may lose some ranking. Now is the always the best time to make sure that your website is fully optimized, and we make it easy. Get a free SEO Analysis now and see how your website is currently ranking and to see how we can make it rank better. Is your landing page optimized to convert? Landing pages are one tried-and-true way to help ensure that your ads are successfully converting people and moving them through the marketing funnel. The purpose of a landing page is to create a page that acts as the perfect extension of your ad and makes it easy for prospective clients to take an action. When the expert team at Roofing Contractor Marketing designs a landing page there is a lot of consideration that goes into it. One of the first questions you need to ask yourself is, what ads are going to be driving traffic to this landing page? It is important that the landing page carries on the conversation that is in the ad. For example, it would seem strange if you clicked on an ad about commercial roofing but the landing page had content about homeowners looking for a new roof. The landing page needs to continue the same conversation as the ad. Another part that is important to consider is the layout and design of the page. If the page is overly crowded visitors may get overwhelmed and click away, or if the layout is hard to follow they may lose interest. A landing page needs to clearly and simply convey the information and give visitors an easy call to action. At Roofing Contractor Marketing our paid digital team are experts in crafting landing pages that will help maximize your digital ad campaigns conversion rates. That means that your marketing dollars are spent efficiently and effectively to get you the most leads for your spend. 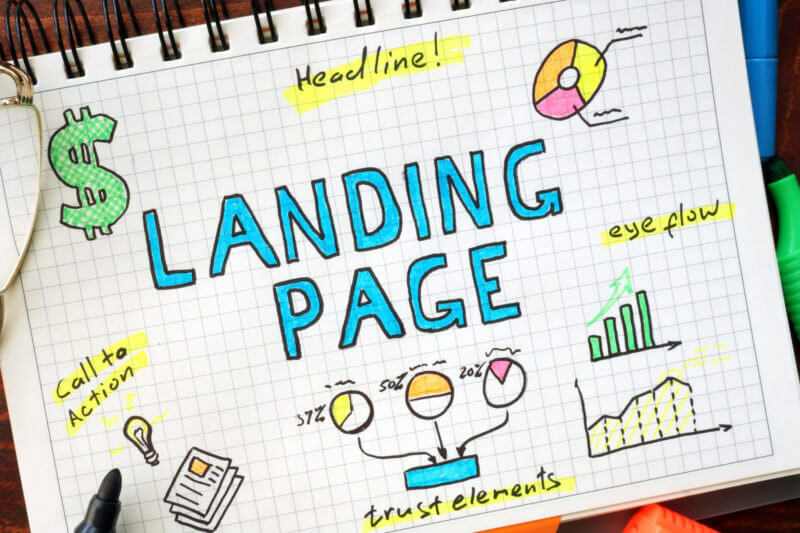 If you aren’t ready to hand your digital marketing over to our experts here are a few tips from Marketing Land that will help you create better landing pages. Are your landing pages optimized to convert? 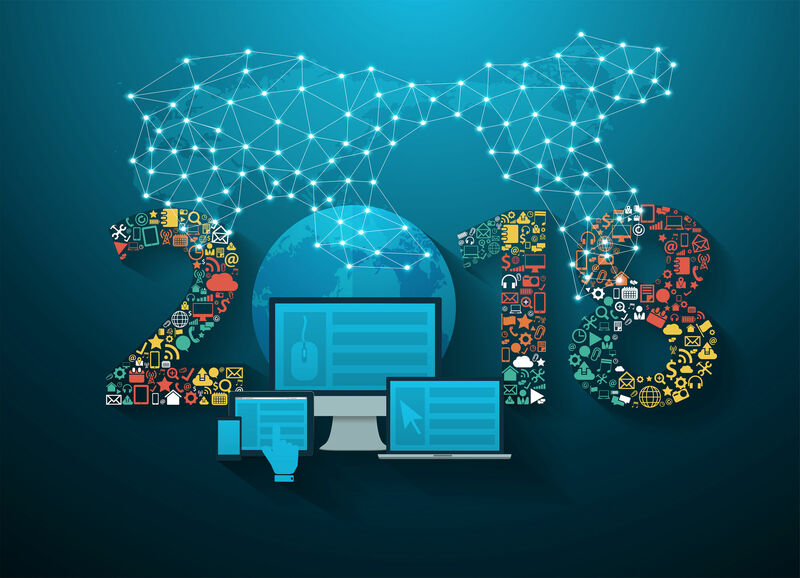 What are you doing to make your roofing company succeed in 2018? Are you on track to meet your business goals for 2018? A marketing plan is a critical part of making sure those goals don’t end up as another pipe dream. At Roofing Contractor Marketing we are experts at creating marketing plans and executing them. Our team has worked with roofing contractors of all sizes in markets across the US. We are looking for contractors who are hungry for more leads and want to dominate in 2018. Our full-service digital marketing strategy is a lead-generating powerhouse and can get your business in front of the people who are searching for you. Our proven strategies utilize multiple methods to drive qualified leads to your business. Relying on any one tactic alone means that you are missing out on other opportunities. The Roofing Contractor Marketing team has experts teams in SEO (search engine optimization), digital ad buying, website development, social media marketing, and video marketing. All of these combine in a marketing plan that spells success for your business. 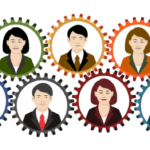 Are you ready to have multiple teams of people working together to increase your sales? The first step to success is to get a free internet marketing analysis because every company is in a different starting place. This no-obligation analysis digs into your web-presence and finds what your company is doing well and where improvements need to be made. Then we can begin to create a marketing plan that is tailored specifically to your company. If you are ready to take your company to the next level NOW is the best time to make a change and DOMINATE 2018!